Build oaken trunks with Arnold's leg-day cut! Oh yeah, leg day! You want tree-trunk legs? Build them with Arnold's advice! On stage, you want to be big, but you also want definition, to see the bark on your trunk. Success in that goal requires you to increase your sets and reps on leg day. 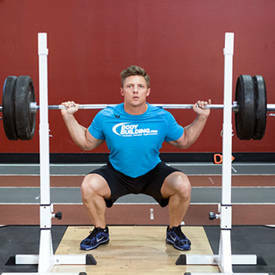 Start with 8 sets of squats with minimal rest. You can go heavy, but don't joke around here. Each set calls for 12 reps, so pick a weight that lets you finish in rhythm. 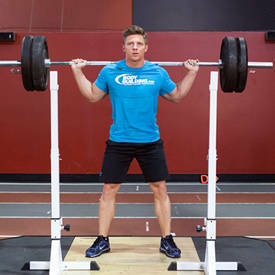 If you are taking breaks between reps, lower the weight. This amount of volume will exhaust you quickly, so make smart weight choices.